Kris Rustic – I remember being in High School playing Soccer, Tennis, and teaching Karate. I was probably at my healthiest and able to run a mile in just under 8 minutes, which was always my proudest moment. Then college hit and I became lazy, choosing Video Games and Junk Food over going to the gym and playing sports. Fast forward 10 years and I was 320 pounds. My wife loved watching “My 600lb Life”. While watching the show, I realized I was half way there. I had severe asthma attacks that caused me to black out. It was time for a change. That’s when I found Core Club and 24/7 Gym along with my own determination. 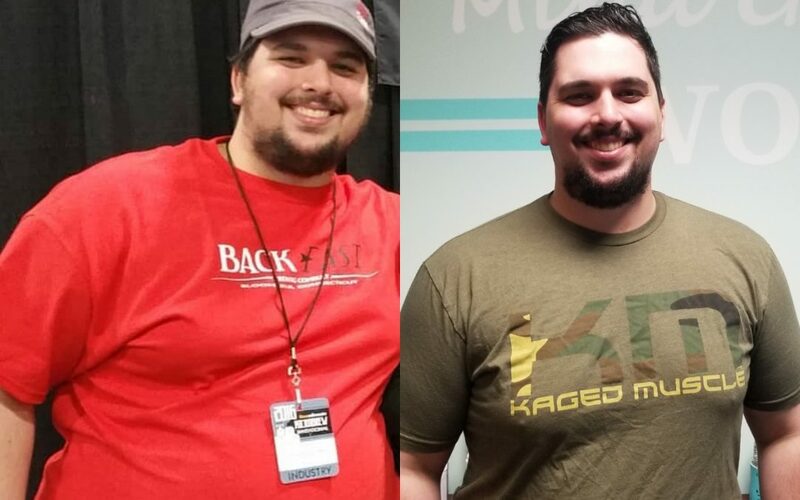 Since starting my journey in January I noticed huge changes in myself, a drive I had never seen in my life. I started going to the Gym daily, putting in the hours and work to better myself. Eventually, I met Jon. Training with him has shown me what I can become if I keep pushing myself. Everything he has shown me I have added into my routine and I have really noticed big changes. Now I am down 40lbs and finding muscle I never knew I had. What started as a health scare and life change has now become (what Jon has deemed), “Making A Beast Out of Me”. My Asthma is way under control, I feel better, I look better, and I am nowhere near done. Besides, I can’t quit now, this place has become my Cheers, a place where everyone knows my name. I have never found a gym I have loved so much.